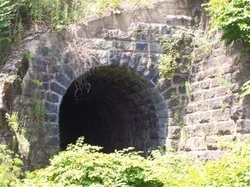 Here is an O&W tunnel that was uncovered when Penn-Dot was widening the Keyser Avenue exit. 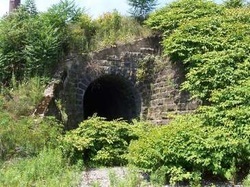 The tracks above the tunnel are used by the Canadian Pacific Railway. This was part of the Capouse Branch.